Count the ways to lose weight! There are many ways in which you can help yourself to lose weight but sometimes we need a little extra help. One approach that has gained increasing popularity in recent years is contemporary interactive hypnotherapy. Hands up those of you who chose hypnosis and therapy! Two emotions that love to eat are Anger and Guilt. Boredom is another. And, however much they eat, they never feel full. The person carrying this emotional weight never feels full-filled. You begin to take control when you start to question why. Why do I eat so much? Well, it’s not necessarily that you eat too much of the ʹbad stuffʹ. In fact, you might not be eating the bad stuff at all. You may be eating too much of the nutritional good stuff. The problem is simply that you just cannot stop eating. Alternatively, in some cases, Anger may do the opposite: she may refuse to eat at all. Guilt may drink excessive amounts of alcohol or take drugs until she is out of your mind. Your inner judge may engage you in dialogue at any time of day or night, making its judgements and bringing forward the inner voices that express worry, fear, anxiety, guilt or regret. Those voices can lead to insomnia, as they do not need sleep. They are players who play on your mind, and can imprison you with their chains of words. They can prevent you from getting on with your life in a way that honours who you truly are. Sometimes Anger and Guilt are so afraid, and so ashamed of what they might do if they were ever to be unleashed ― that each of them can cause you much unease and so, indirectly, dis-ease. What does happen in a session of hypnosis and therapy? What happens during a session? When you are in a state of hypnosis you are in an altered state of awareness. This is different from sleep, but equally relaxing. Time passes very quickly. You may find it quite incredible to learn that you have been in this relaxed state for an hour or more. An hour in hypnosis is, in a sense, equivalent to a couple of hours of sleep, in so far as one awakens from the relaxation feeling rested, rejuvenated and mentally cleansed. Certainly, clients often report feeling lighter, after dissolving and eliminating whatever energy-eating emotion they had come to deal with. Nature is very simple, and very economical. For example, a gap in your life symbolically matches an empty feeling in your stomach. Your unconscious mind latches onto an empty feeling in your stomach as the perfect metaphorical expression of the emotional emptiness and discomfort. So you stuff yourself with food to end the endless craving. But it doesn’t go away because it fails to address what the feeling was really all about in the first place. Often the root cause lies in an event that happened in childhood or adolescence and you are half-remembering it. This is the reason why hypnotherapy can be so effective so quickly. You may know about the original trigger event. But, what you may not know is how that event is fuelling your ‘picking’, ‘grazing’, ‘overeating’ reactions and responses in the here and now. Original trigger situations may be as varied as an overheard remark by a parent, relative, or parent’s friend comparing you to a sibling. Another could be a situation where you have struggled to match and mirror the weight of a conscientiously slim mother. Stick-Thin … or the Healthy Size and Shape you choose to be? Choose your words mind-fully. ‘Digest’ healthy words and phrases when you speak to your self, as well as to others. I take a view that the words we choose to describe ourselves and our emotions when we indulge in ‘self-talk’ are as important as the healthy food choices we choose to put into our bodies. Do not eat junk food, and do not digest junk words and phrases, like “I’m not worth it…” Remember again: Nutrition for the Mind. Stick thin is not healthy nutrition for the mind! 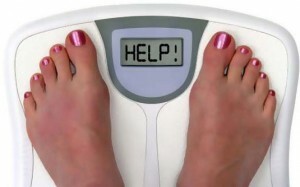 An advertisement I spotted some years back was for a live weight-loss event toting the headline “I can make you THIN”. As any professional hypnotherapist knows, it is in the nature of the subconscious mind to take words and phrases literally … which is why we each may continue to carry labels that were given to us during childhood or teenage years that we continue to ‘believe’ and sometimes continue to play out in our adult and maturing lives. The subconscious mind does not necessarily have a preference for being ‘thin’ and ‘fat’ but it does act completely and absolutely upon the instruction delivered to the subconscious mind, just as a computer runs the software installed. A preferable and safer message to the subconscious would be, “the healthy size and shape you choose to be”, so that the subconscious mind will work towards achieving the weight that suits your body shape and body type. Are you ready to let go of the weight and shape up? Hypnotherapy engages and supports you in gaining access to a deeper wisdom – to magical, and often immediate effect. With interactive hypnotherapy you can go directly to the ‘key years’ and discover the influencing figures and events. Then in hypnosis you can reconcile and heal them in a safe environment. Its so reassuring to read you explaining that skinny is not the aim for weight management hypnotherapy. It is vital that these unhealthy expressions…such as I can make you thin…..are counteracted by blogs such as yours. The subconscious is a very sensitive, and an extremely good listener. Choice vocabulary is of paramount importance when working with the nuances and susceptibility of the mind. Today I was in conversation with a fellow Association of International Womens’ Group member, who informed me she was ‘dying to see Suffragette’, (the movie). I suggested she re-train herself to say, she was ‘living to see Suffragette’. Odd as it may seem, when we consider some of the expressions we use ‘dying for a cigarette’… yes, literally, and ‘kill two birds with one stone’… gruesome. We really do need to wake up to the expressions we employ in our day to day exchanges. Hi Deborah, Is it true that Hypnotherapy boost our memory & helps to reduce stress.? Hypnosis combined with therapy may well support the improvement of memory, and most certainly it is hugely successful in providing support to manage stress.